What is a Solidarity Economy? "The role of the artist is to make the revolution irresistible." 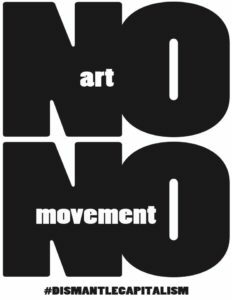 We know from our study of past successful social movements and our own lived experience that any significant culture shift manifests itself through various artistic expressions. Art describes a range of human activities, creations, and expressions - visual, music, poetry, dance/theater - art both reflects culture and inspires us to what can be. It is with this in mind that Cooperation Humboldt engages with artists who share our vision of a cooperative society. We aim to amplify the great things already happening in the solidarity economy here on the North Coast, as well as to build our community's capacity for responsible resilience going forward. Please explore, connect with, and support the people and organizations listed below already doing great work, and/or contact us to join our work towards making this program area even more robust!